Few animals in the US are as romanticized as horses. From gracing the covers of cheesy romance novels or spaghetti westerns, to being the stereotypical rich person’s pet, horses occupy a unique cultural space. But the US government is about to kill 45,000 of them. The Bureau of Land Management (BLM) is under fire after deciding to euthanize 45,000 unadopted wild horses it has been keeping in holding facilities across the US. The wild horses were removed from their natural habitat by the BLM so that privately-owned cattle could graze on the land for profit. The decision hasn’t been particularly well received. The Humane Society referred to it as “a complete abdication of responsibility for their care,” and panned the bureau for not using birth control to curtail the growth of the population. The equines can be adopted from the facilities for $125 apiece, but even purchasing all 45,000 of them for $5,625,000 would do little to offset the $49 million that the BLM spent on them last year, according to The Verge. The $49 million spoke for over half of the entire budget for the Bureau of Land Management’s National Wild Horse and Burro Advisory Board. Some don’t believe that wild horses deserve any more special treatment than any other non-native species, such as the Norwegian rats that practically own the New York City transit system. 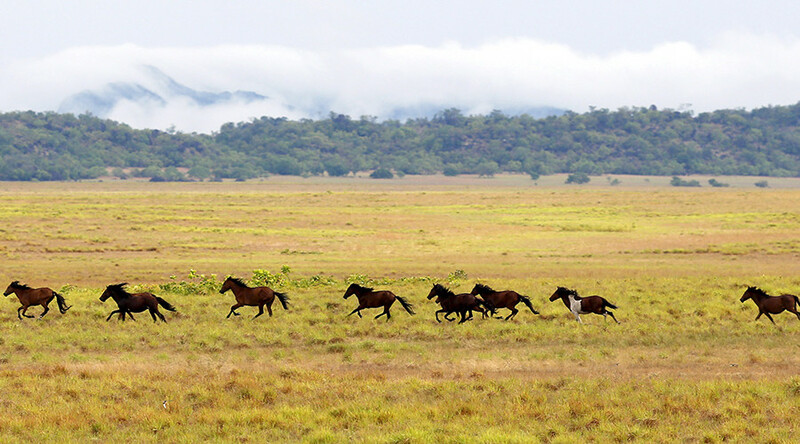 Horses first arrived in the US with the conquistadors in the late 15th century, too recently “for native North American plants and animals to adapt to the pressures of coexistence,” according to Slate. The threats wild horses pose to the environment are serious, with the grasslands they occupy covered with “biotic crusts” that hold desert soils down, preventing them from being blown away. However, horses trample and pulverize this crust with their hooves, damaging the earth. This layer of topsoil can take hundreds of years to recover from the mustang’s damage.